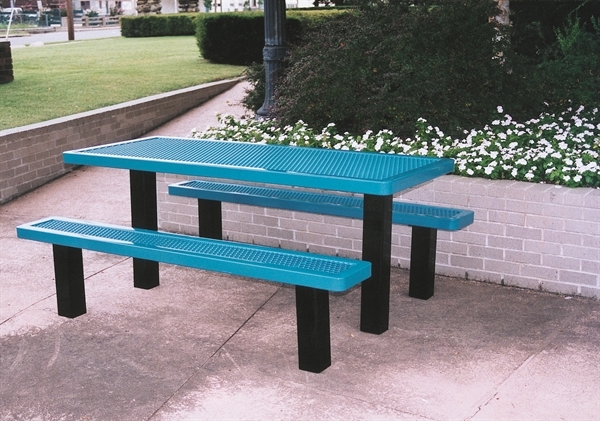 Rectangular 6' Thermoplastic Steel Picnic Table, Regal Style Seats 6 Adults, 310 lbs. This Regal Style 6 foot thermoplastic picnic table features a rectangular top and two unattached benches that are posted in-ground for resistance to vandalism. 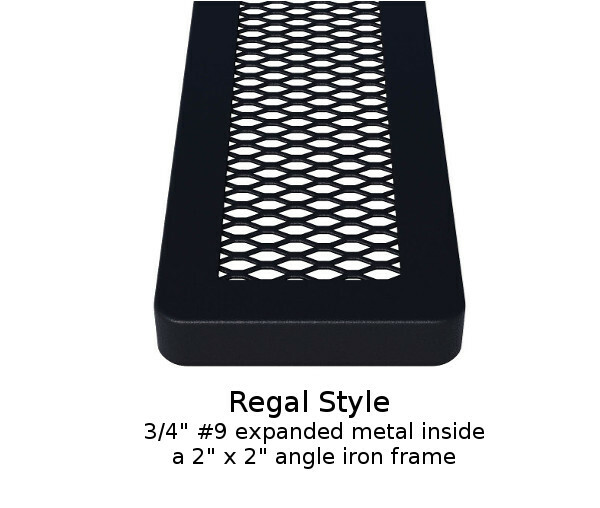 Made of plastic coated 3/4" expanded metal and 4" square galvanized powder coated steel legs. Inground picnic tables are installed prior to cement being poured on site. 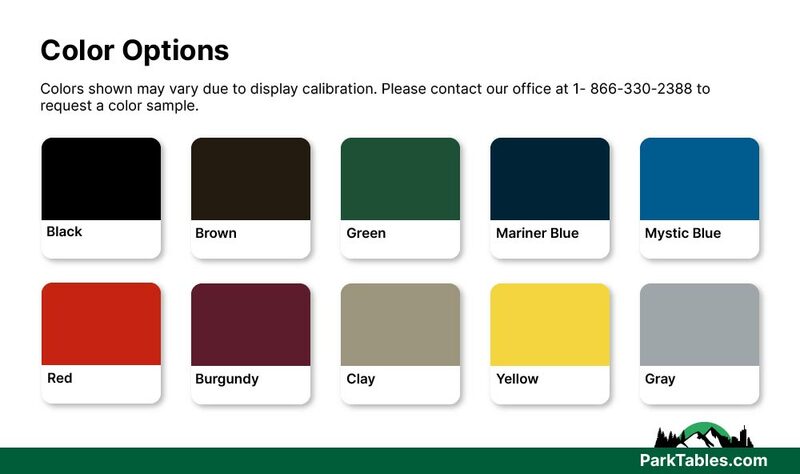 This provides a stable surface for security and safety. 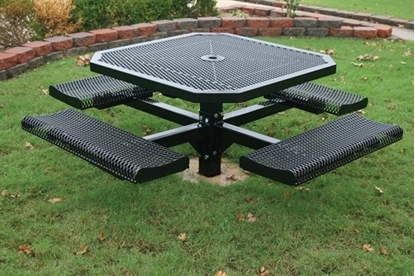 Octagonal Thermoplastic Steel Picnic Table, Perforated Style Seats 8 Adults, In-ground. 353 lbs.